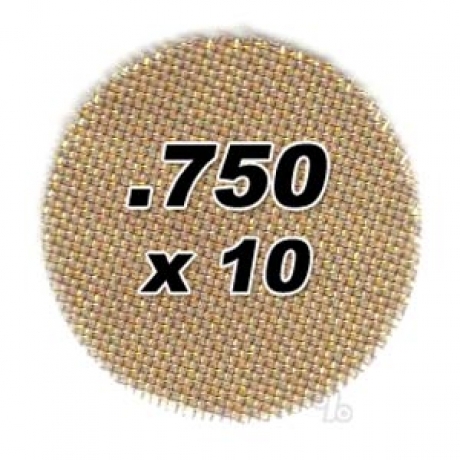 0.750 (3/4 inches) uncoated brass screens. Stock up here instead of stealing them from the sinks (sinks use fiberglass now). 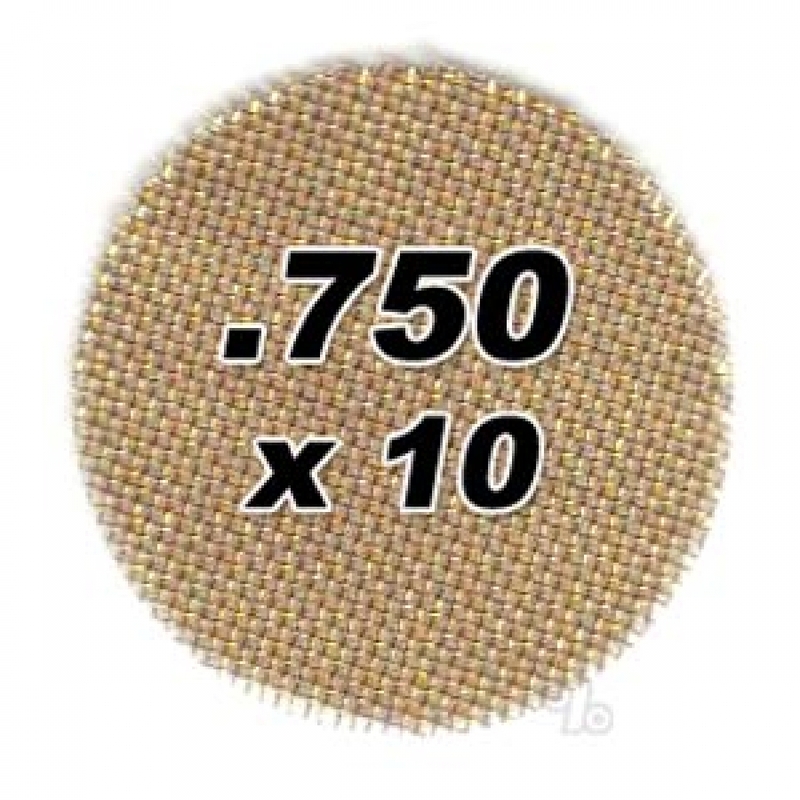 For the person who goes through tons of screen try the Bulk Bag of 1000 Pipe Screens. If you like a fresh one every few uses this is the economical way to keep the ash out of your mouth. Also works in the sink. I go thru lots of these and they work great! Maybe it's just me. Maybe it's the sticky product, or maybe the amount of use but these screens need to be changed quite often,... like once a week. Back in the day, it seemed screens lasted a lot longer. Good thing I buy them in bulk today. 1% is the best deal on screens around. My only go-to for these! Thanks , they are perfect ! Stopped me from inhaling hot meteors but didn't stop my glass from getting gunked up. Plus the screen would get clogged with resin and would to be replaced fairly quickly. They're cheap though, so that's not so bad.